But keep in mind that this is a stripped down calculator. It graphs stuff, and that’s about it. You’ll still need your TI’s to perform calculations, analyze data, or do more in-depth analysis, like intercepts or integrals. Sometimes, less bells and whistles are better. 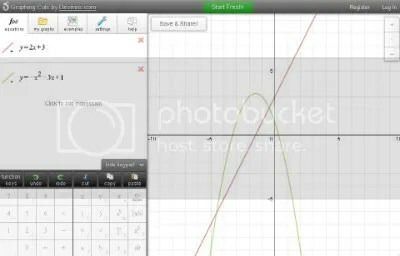 EDIT: check out the comments for news from Eli, founder of Desmos, who gives some more great information about this tool! 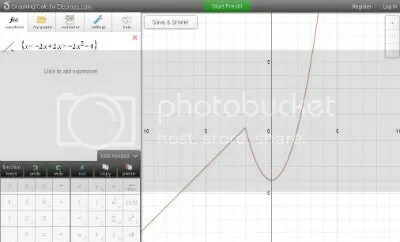 This entry was posted in Algebra, Middle School, Technology and tagged Calculator. Bookmark the permalink. (3) and regressions won’t be too much longer! 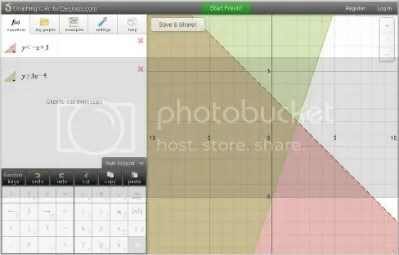 Send any ideas you have to calculator [at] desmos.com. We want to make it so that you never have to buy a calculator again — which means that we want to hear everything we need to do to truly make a handheld calculator obsolete! “intersections & integrals are coming super soon…”. 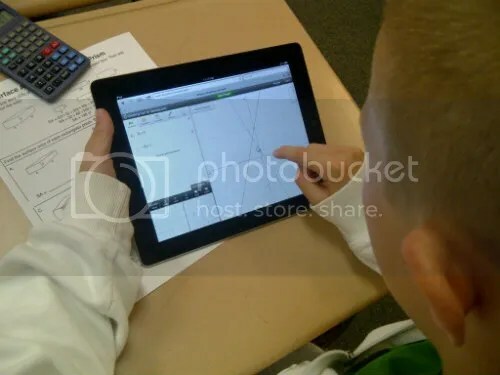 That was back in May, 2012.
and DESMOS still has no INTEGRAL functions…Sad! 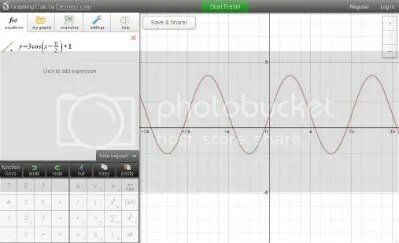 with ALL the missing functionality of Desmos +more! you should reply to Eli directly on twitter, @eluberoff. 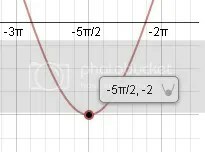 I am currently previewing regressions for the Desmos folks; can’t speak to where they stand on Integrals. Thanks Eli, I’ll take some time to toy with the variables soon. Looking forward to the new features! If you really want to challenge the handheld, you have to have regressions.